STRENGTHEN ME OR WEAKEN ME. THE CHOICE IS MINES. 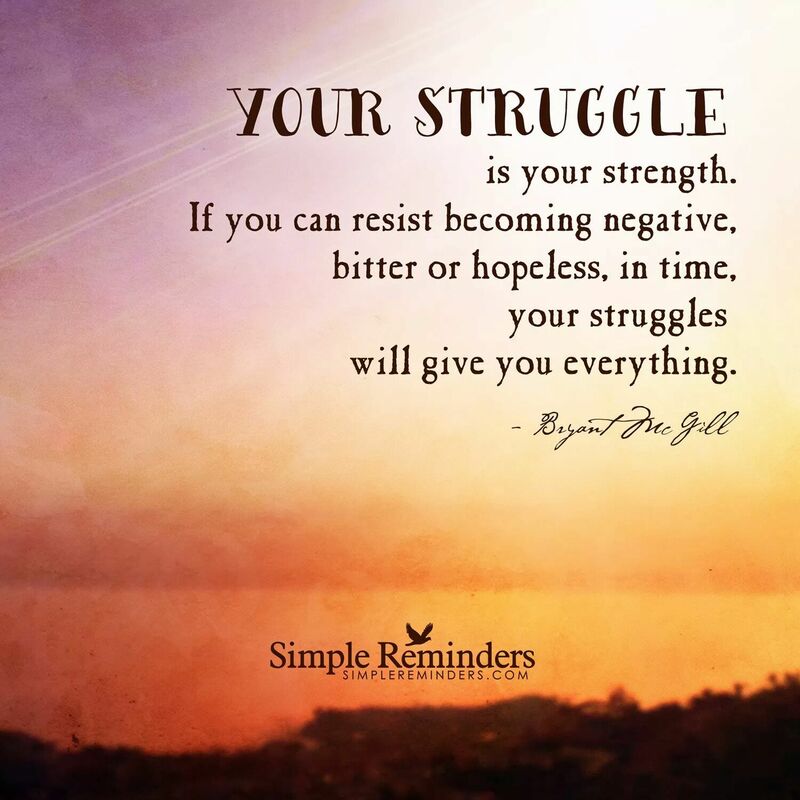 I have learned that my struggles are strengths designed to teach me specific lessons. In every day life I have my ups and downs. Its how I choose to respond to them that can either strengthen me or weaken me. Today I choose to see the lesson in my time of adversity rather than succumb to the why me pity party.